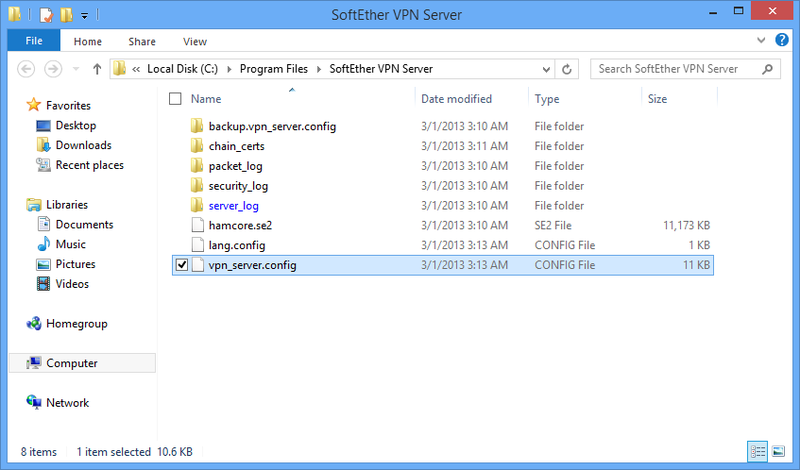 This section describes how to uninstall SoftEther VPN Server from your system if you should no longer need this program. 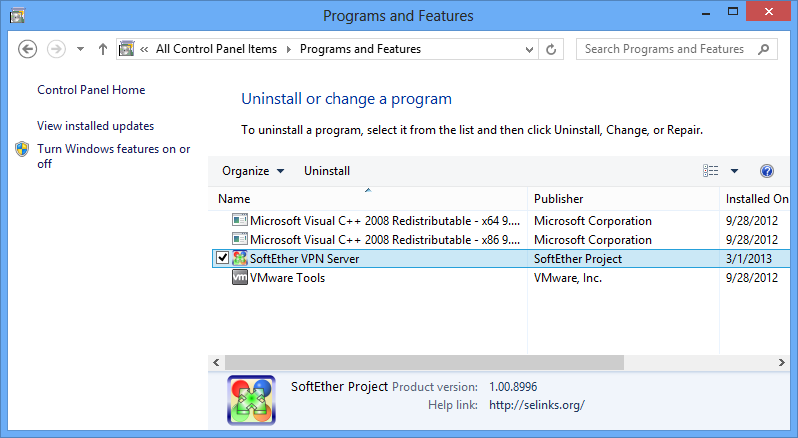 You can uninstall the Windows version of VPN Server in the same way as uninstalling other application software, by clicking [Control Panel] > [Add or Remove Programs] and then removing the program. Add or Remove Programs Window. To prevent the loss of configuration data created after VPN Server is installed and written log files, this data is not automatically deleted. These files remain in the VPN Server installation directory. If VPN Server is installed to the same directory thereafter, the system uses the configuration file (vpn_server.config) remaining after the previous uninstallation, so caution must be exercised. You can use Explorer to delete these remaining data files. Remaining Configuration Files and Log Files.